IFT was contracted by Willmott Dixon on the refurbishment of one of Birmingham’s most well-known buildings. 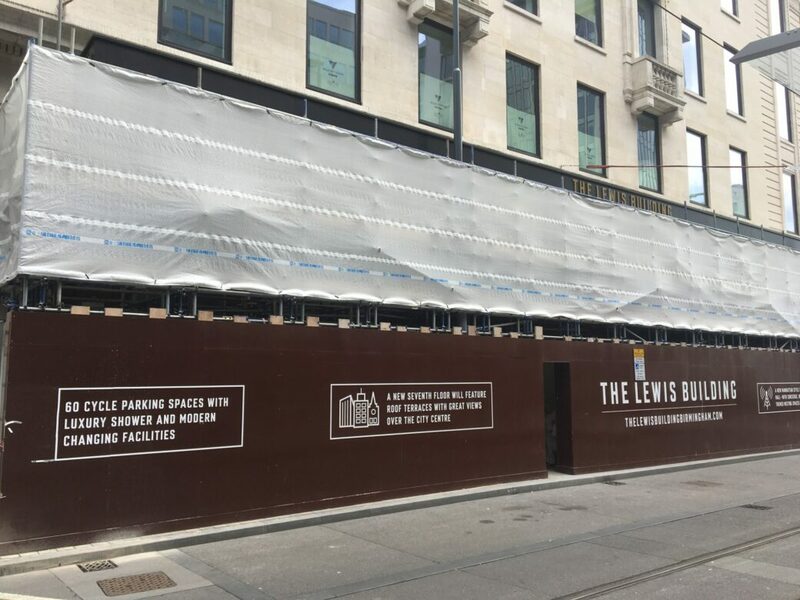 Formerly known as Temple Court, the Lewis Building was originally built as a department store in the 1920s by renowned 19th Century philanthropist David Lewis, and has been an integral part of Birmingham’s city core for almost 100 years. 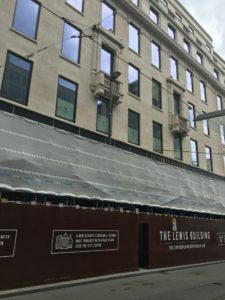 The comprehensive refurbishment will offer 114,000 sq ft of Grade A office space set behind a classic Portland Stone façade. IFT installed Advance5 Screed from Marshalls Premier Mortars on void former insulation to the ground floor Energy Centre & also the main entrance of the building. 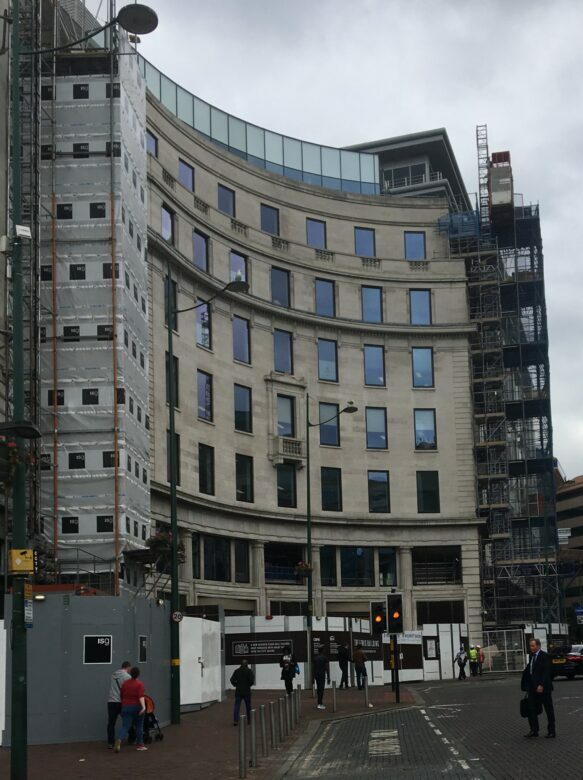 This consisted of 100m2 to Energy Centre, 190m2 to ramp infill and 210m2 to entrance areas. 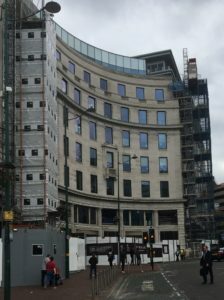 We also installed Isocrete Renovation screed to toilet cores on all seven floors – 450m2 to six floors of toilet cores at 75m2 each. 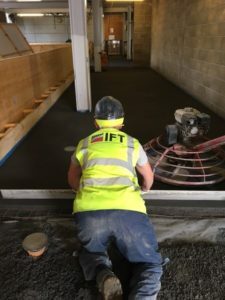 The project proved particularly challenging as any screed deliveries over 3 tonnes could not be delivered without an Hiab lorry as the total weight of any vehicle on site could not exceed 7.5t. Heavier deliveries needed to be offloaded into the site compound and decanted into the and dispersed throughout the site by wheelbarrow! 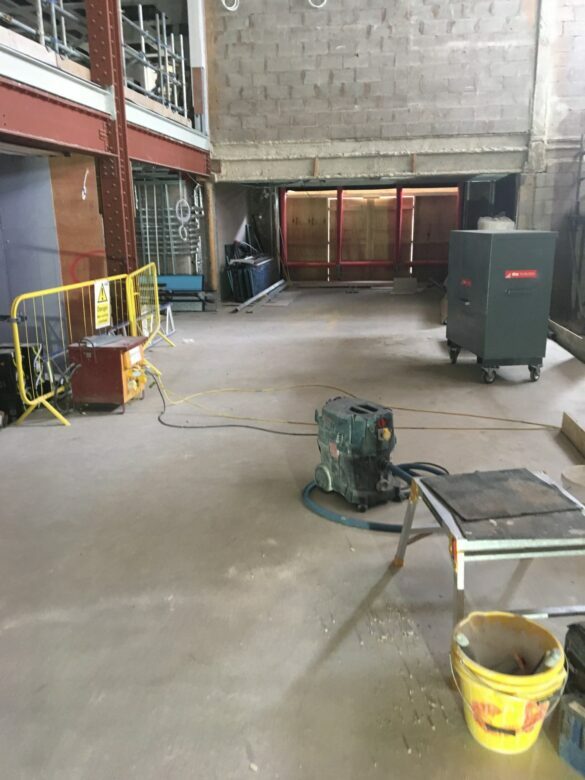 We also had to use a 600mm wide internal lift to get the bags of renovation screed to all of the upper levels of the building!